Witness Manhattan as the sun goes down. Learn basic strokes on land, launch into the sunset and then watch the city lights glow. As conditions allow, we may take the group deeper onto the river. Bring water-friendly pants and your camera. The epitome of spectacular, surreal, and awe-inspiring sights is the Manhattan skyline at night. Come experience this iconic image from a kayak out on the water. 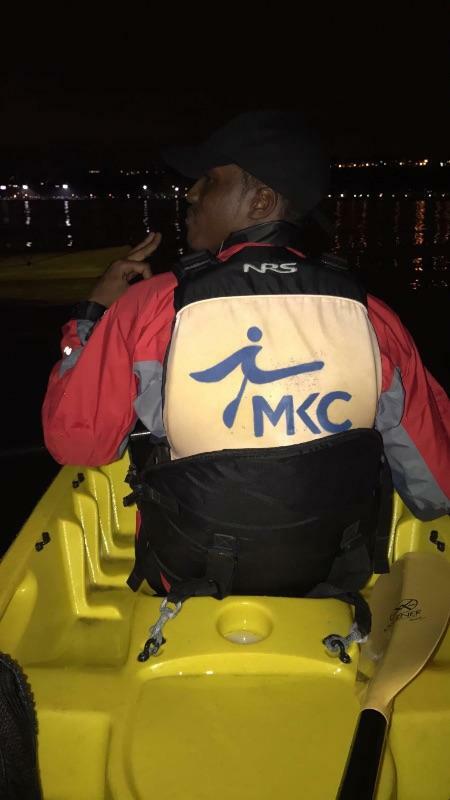 You'll start off with a quick briefing on how to paddle and navigate with a kayak before venturing onto the water. 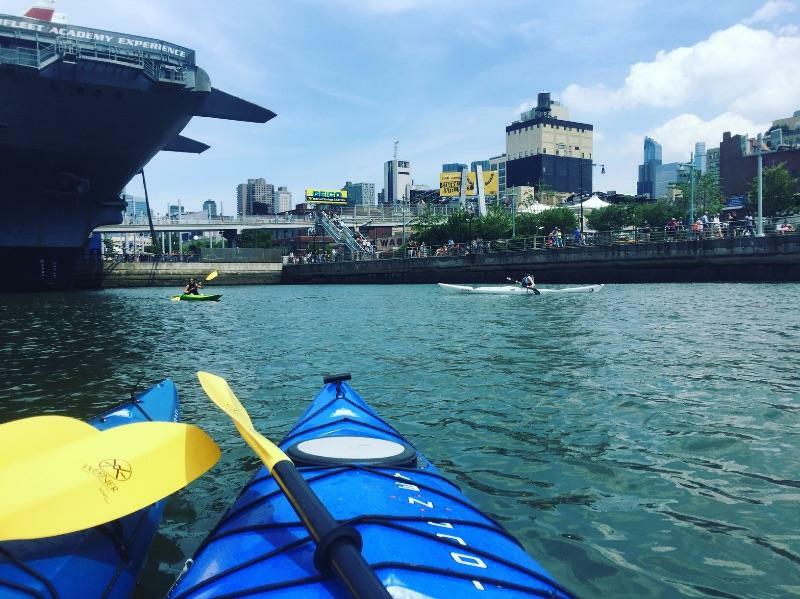 Expect to see Midtown light up and catch an amazing view of the Empire State Building on your scenic kayaking adventure. It will be a pensive, calm, and ethereal experience seeing New York at night from a place like no other. Note: Starting times are subject to change in order to give participants the best possible view of Midtown's lights, as well as the colors of the Empire State Building's lights. There is no age requirement for this activity, however all participants must be over four feet tall. If you are under the age of 18, a guardian must sign a waiver for you upon arrival. No swim or kayak experience needed. You may cancel or rebook at least 24 hours before your session start time at no cost. If you are canceling within 24 hours of session start time, the reservation will not be refunded or transferred. If you are requesting to rebook within 24 hours of the start time, a $25 fee per person will be charged promptly and the rebooking must be made immediately, otherwise the reservation cannot be rebooked. Arriving after the start time or without a valid voucher is considered as a cancellation. This activity requires 3 or more people signed up in order to run, so in the event of a cancellation, you will be informed at least 2 hours in advance and will be able to reschedule to a later time or date. The best part was my friends came and enjoyed the experience. Such a value and had an incredible time. The two guides/instructors put my wife at ease and made sure we had a great time. Would highly recommend this activity. I took my boyfriend here for his birthday & he was FREAKING OUT the first 20 minutes because he was afraid but, by the time we were finished he LOVED IT. Great experience & manhattan lights are beautiful! Great instructor. Great experience. Will definitely sign up for class 2. 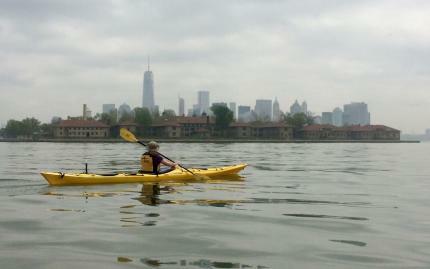 The best part being on the Hudson River in a kayak and looking at how peaceful manhattan was! The entire experience was great! From the instructors to the great skyline view. Great experience for a great price! Loved the experience, the guides were amazingly cordial and patient with the group. 5 stars! 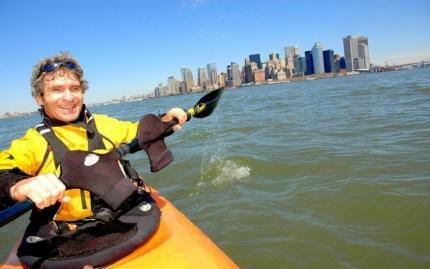 Loved the Manhattan kayak tour! Excellent tour guides, Gorg weather, great instruction and so peaceful. Def recommend! 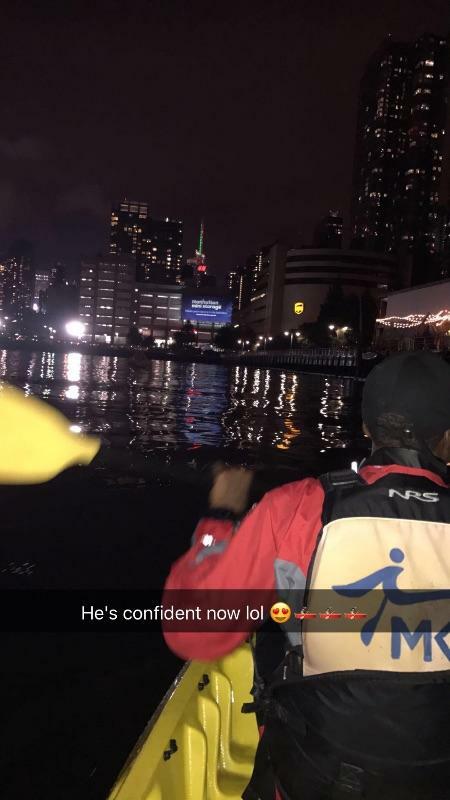 The best part was kayaking to the middle of the river, and being there for a while taking in the breathtaking views of Manhattan. I would have given a 5-star rating, if they were a bit more informative about what to expect, and that one can get pretty wet out there on the Kayak. Otherwise, it was awesome, and the instructors were fantastic! Instruction was thorough and everything well equipped. We were blessed with a beautiful evening and the views were extraordinary. The amount of kayaking we did however seemed very limited - would have been nice to travel a little bit further. Felt like we were asked to stop very early. If we had then I would have definitely said 5 stars. Kayaking was great, fun and good exercise! I came here last summer to try it out with a bunch of friends. We had a great time. 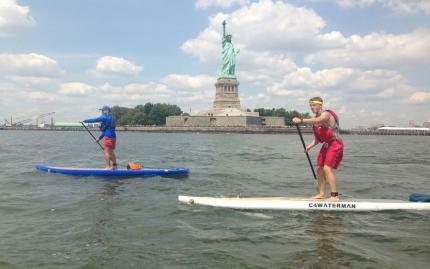 They trained us with the basics of how to "stand up paddleboard" Then we had plenty of time to try it on your own. The instructors were very good with us. It was so much fun. Ok, yes, you are going to fall into the Hudson River, so if that disgusts you, then stop reading reviews b/c you wouldnt enjoy doing it. But if you can care less, and you want to try something new. DO IT!! They also gave us a voucher for a free drink at the frying pan restaurant close by on the water, which was also a great way to end the day.